So you have a lot of apps because it is super easy to download and install new apps. You may want to delete the apps you do not need anymore. Or you may want to clear out some space. Deleting apps from your device is also very simple. You will see that deletable apps have a little X at the top corner. Simply tap X and Remove. 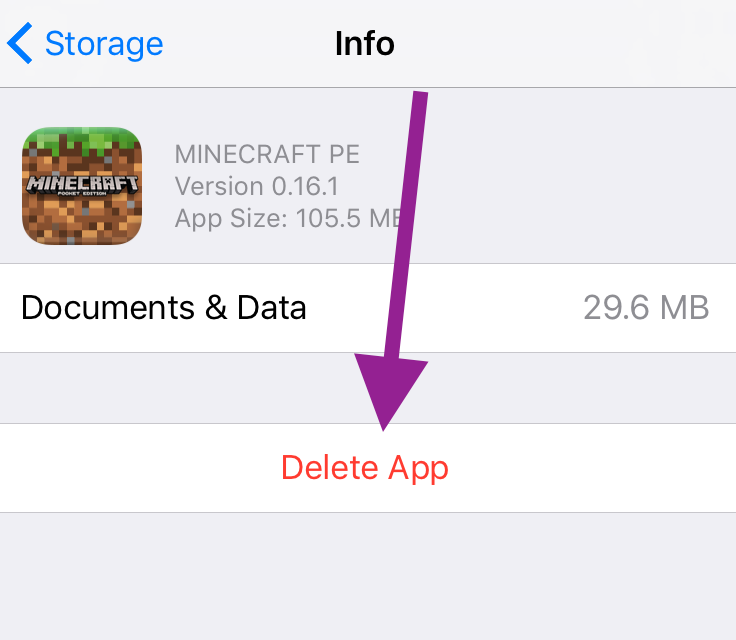 Some pre-installed apps cannot be deleted. For instance the Phone app on the iPhone can not be deleted. 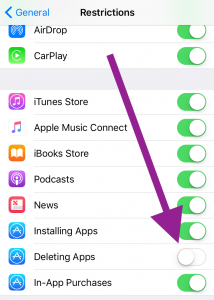 The following apps can not be deleted: Settings, Phone, Camera, Photos, Messages, Clock, Health, Wallet, Safari, Find iPhone (Find iPad) and App Store. It is likely that you or somebody else prevented the deletion of apps by activating Restrictions. Go to Settings > General > and tap Restrictions. If it is on, you need to enter the passcode to view your restriction settings. Make sure that ‘Deleting Apps’ is not disabled / restricted. If nothing works, try this. Go to Settings > General > Storage & iCloud Storage and Manage Storage. Now find the app you like to delete and tap the red Delete App button. You may also want to try restarting your device. Simply press and hold the sleep/wake (on/off) button until you see the red slider. Then slide the slider. Wait a few seconds. Then restart again.